It’s not just Yea’s ‘best kept secret’; more people need to find out, visit and enjoy themselves at this fantastic spot. The Yea Wetlands are right on the outskirts of Yea, between the two branches of the Yea River. To break the drive on a recent trip to Melbourne, I stopped at the wetlands and spent a lovely half-hour wandering the paths and boardwalks, with not another soul in sight. Even more exciting is the new wetland visitor centre being built on the town side of the wetlands. Construction is well underway and due to open early next year. The area has been open to visitors for many years. 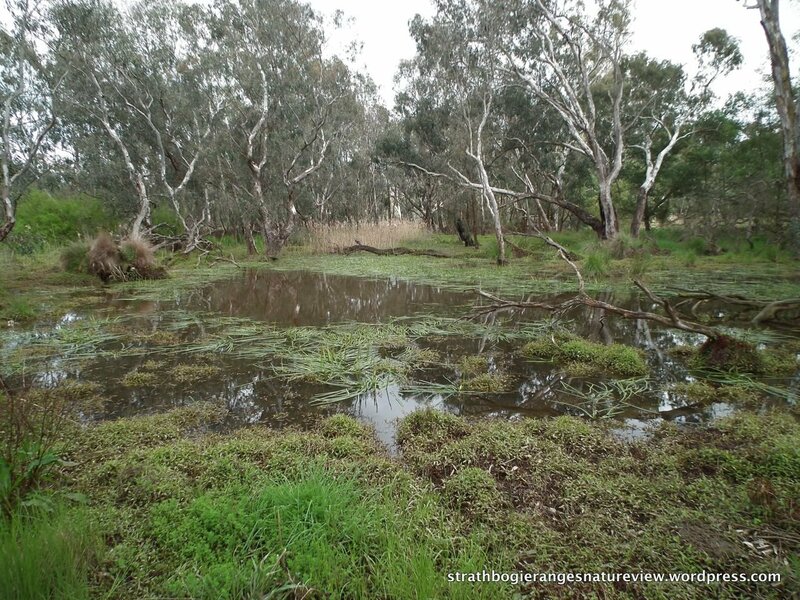 Water Ribbons and wetland vegetation make this floodplain a fantastic place for nature lovers. This Pelican wasn’t too bothered by my presence. Mature River Red Gums are impressive trees and provide important habitat. An innovative viewing platform, as there are no natural high-spots to survey the landscape. The main visitor notice board in the Cummins Reserve. Information boards help visitors understand the area. One of several Pacific Black Ducks on the lagoons. Boardwalks make much of the area accessible, even in winter or after rain. For more info visit the Y Water Centre Facebook page, or have a look at Weekend Notes. Previous Previous post: Caper white butterflies–harbingers of summer.